It began with a rush and a flood and a steady slow trickle. It began in spinning anxieties and a heart that pounded fierce love and basked in her eyes, little neck and gurgles like wet birds. It began with deep soil digging and gave birth to skeleton structure and walls with rooms and furnishings and vases of dandelions. 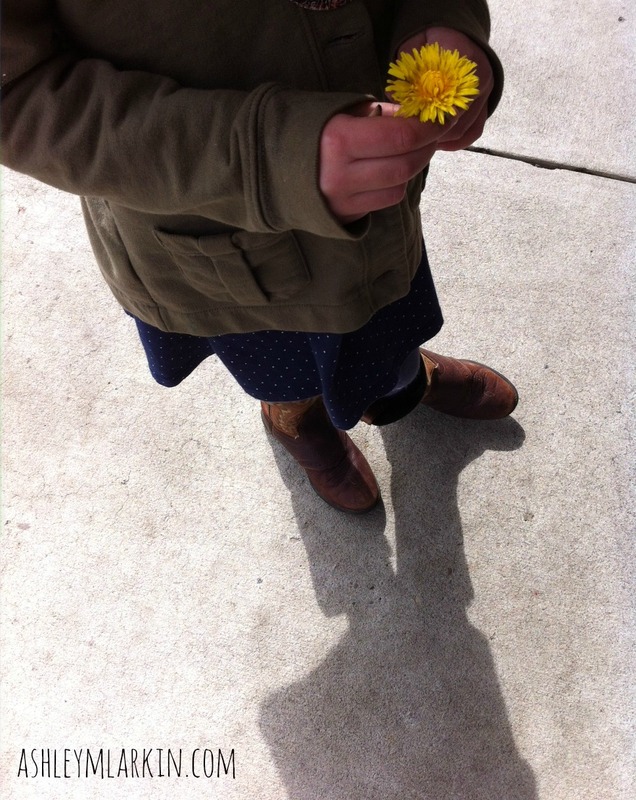 It began in the depths of winter and extended arms into each season, and this day motherhood feels just like spring in which we are continually reborn, unfurling from tender earth, reaching for day’s warm light. I discover unknown parts of me when I see who I am in her eyes. I learn what it is to be selfish and exhausted and brave and joyous and capable of goodness when we sway together and laugh hard, when I snap harshly and then watch as she patiently helps pick up my spilled noodles from the floor. To mother is to bend like a willow without snapping and then to break straight through. To mother is to embody tender tenacity. To be warrior and peace-seeker at once. Sometimes I am battle-weary, but I keep fighting, and sometimes I lay right down so they’ll see grace with skin and a love they can hold and examine in its facets, wear like a necklace and give away. Sometimes I lead. Sometimes we walk side by side. And then, so often, it’s they who lead me. We, a mama and her children, ever becoming. We stretch and we strain. We bloom and we fade, and I behold their startling loveliness. These fellow flowers of the field. 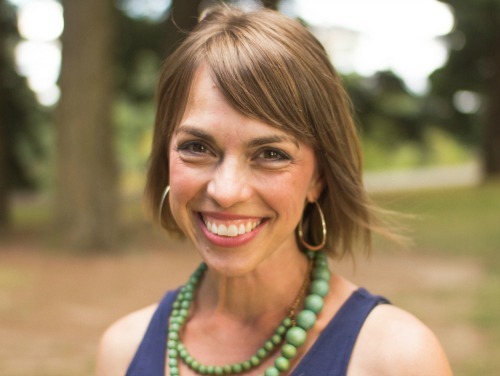 This morning, I am elated to help celebrate the release of fellow writing sister Lisa-Jo Baker‘s new book, Surprised by Motherhood: Everything I Never Expected About Being a Mom! I am several chapters in and am devouring it. I wish I’d had this book as a new mama, struggling so hard to do it “right,” because this book points to the mess of motherhood and declares it beautiful. Read the first three chapters here, or find all the places you can order a copy here. And…because we mamas need each other, and we walk out our dreams together — in connection with her book release — Lisa-Jo is seeking to build in her native South Africa a community center that will include sustainable food, child care, economic empowerment, job skills training, a church, classrooms for HIV/AIDS education and a playground for children. Learn more and see how you can contribute to the project here. To bend like a willow without snapping and then to break straight through. Your imagery is pure poetry- always. I am a mama willow on the verge of snapping this afternoon. Prayers… I appreciate your presence always, dear friend. Absolutely beautiful, Ashley. If The Lord has it in His plans for me, I cannot wait to be a mother someday! I’ve learned so much from fellow mamas, Taylor, and also from the women in my life who are not literal mothers, but are in the ways they cheer and encourage and love and hold space. I know you are already that kind of woman. This was beautiful and heart wrenching. “To mother is to bend like a willow without snapping and then to break straight through.” Favorite line. I’ll remember that one. Thank you for your kind words. I appreciate you visiting today. I love you – and this…. and this: “Sometimes I lead. Sometimes we walk side by side. 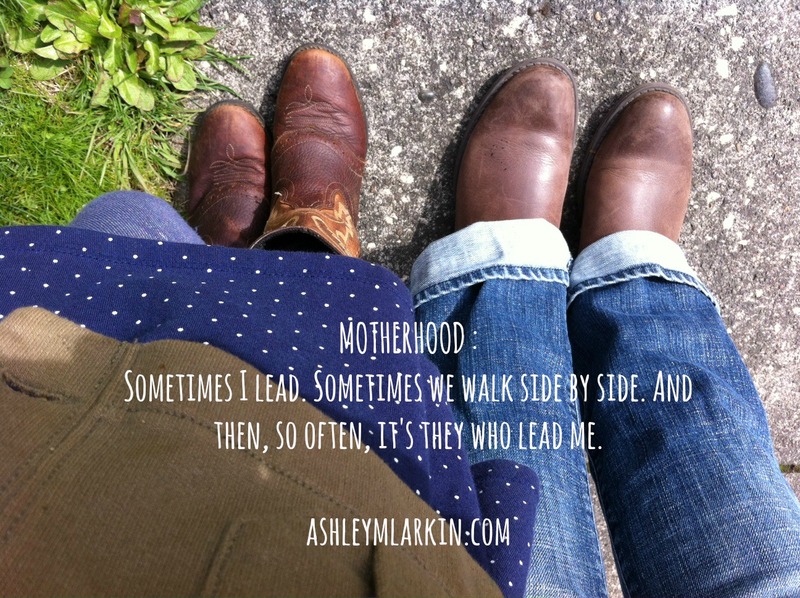 And then, so often, it’s they who lead me.” I love how we both touched on this aspect of mothering and being mothered! This beautiful one I will read over and over until the words are seared in my brain, because they are words I hope to never forget. Bless you. Bless you, Deb. Your words here are always a true gift. Oh, Mama. My heart. Thank you. Truly, this is one of the most purely beautiful things I have ever read on the topic of motherhood. Love you. Thank you for cheering me on to keep writing when it’s hard. Oh so tenderly and truthfully spoken. Beautiful momma, just like you. You know a lot about broken beauty, mama. Amen to that, Lyli! Truly grateful for your visit. This really, really, strikes the core truths of Motherhood! Bulls Eye Dear Girl! I loved this! It’s so big, isn’t it, friend? Feels like only scratching the surface. Thank you for your words and presence here.